I will often work from home and as a result I have sensitive materials that cannot be lost due to power surges, equipment failure or parental failure (I’ve already lost one laptop). I had a backup drive, but it was prone to the same faults as my laptop. It was suggested I look into online backup. I signed up for Mozy Online Backup, Data Backup & Remote Backup Solutions. They had a great price at $4.95/month for unlimited home storage. Plus they had a great option to prepay for 2 years at $105. It was my first experience with this type of service so I went with the monthly option thinking I would prepay for 2 years once I decided I liked it. You install Mozy’s software on your machine. The program runs in the background like your Antivirus or Antispyware. It annoyingly pops up from time to time to let you know it was doing its job. Otherwise it’s not a bad program and I had it for four months. 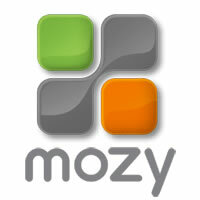 Mozy let me know that their price were going up and they were going to drop unlimited storage as of March 1st. I thought I should take advantage of the two year prepaid option. It wasn’t available. No biggie, they probably don’t want to have it available to new customers. I contacted customer service who said that all the old pricing was no longer available as of January 31st. The problem is they didn’t let me know of the pricing changes until February 1st. Way. That is probably the most underhanded thing I’ve ever had to deal with in an online service. Even when I pointed out the error of their ways they still would not honor the old price. I then pointed out that I could refer my business clients to them and it would be a mistake to lose me. No dice. I bid Mozy adieu and started sifting through the many available and competent alternatives. Downloadable Client – I don’t want to think about the backup, I just want it to work. Some companies just offer space and you have to do the work of putting your files there manually. Unlimited Storage – I don’t want to count gigabytes. I just want everything to be backed up. $5 a month – I’m not a business, but I have important stuff to save like family photos, email and the business stuff I already mentioned. I don’t want to pay a lot of money to make sure it’s all safe. I found Backblaze the easiest Online Backup Service, so they claim. So far I like it better than Mozy. My computer doesn’t slow down every time it’s running and it doesn’t let me know when it’s done. Unlimited backup space and if I decide to prepay for 2 years it’s under $100. So if you’re looking for an online data storage and backup company Backblaze.com is the place to go. It’s been a couple of months and I am still happy with the service. Still cheap, still convenient, still safe. Safe files? Get yourself some. I haven’t had a major loss in the last 4 years, but I have had stupid moments where I had deleted the wrong file permanently. Backblaze was a lifesaver. Next Post Next post: To the Moon!